There are so many different factors to consider when choosing a career. Most Millennials and Gen Z want to do something that is meaningful and helps others, provides flexibility, and allows them to pursue personal interests outside of work. A key consideration should be picking a field that has many available jobs. Compensation potential also should not be ruled out when initially selecting a career field, but should be considered as one of many factors – read Top 20 Highest Paying Careers here. The following 20 occupations are all estimated to grow by at least 25% between now and 2024. Choosing one of these careers increases the chance of finding an available job in the future. Not surprisingly, many of the fastest growing careers are in the medical and home care fields, accounting for the large number of aging baby boomers who will likely have an increased need for these services in the future. 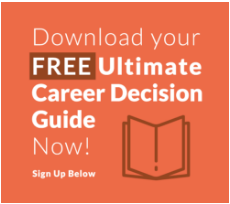 For students looking for additional help with selecting their future career field, click here to sign up and download “Your Ultimate Career Decision Guide” to reflect, research, and select the best field for them.